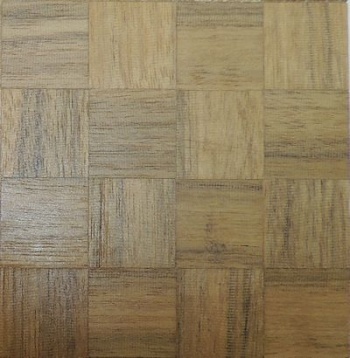 Parquet squares are a solid piece of Mansonia wood. Each square measures 1/2" square by .041" thick. Bag contains 36 square inches. A Pixiewoods product manufactured in the USA by our friends at S.H. Good and Sons.